When one goes to the liquor corner in stores like David Jones and Dan Murphy, they may find a wide range of Japanese sake’s on display. However, in a country that produces a very large amount of wines and beers, it would take a lot of work to get these sake’s on the shelves. 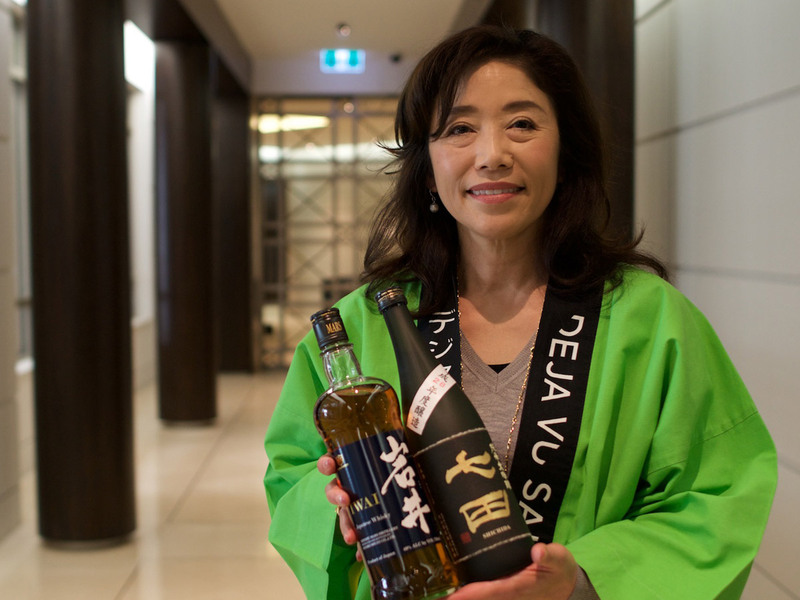 Today, we’ll be talking with Ms. Yukino Ochiai, an importer of sake into Australia. Taking pride in Japan’s food and drink cultures, last year she entered the aptly titled work-post of “sake samurai”. 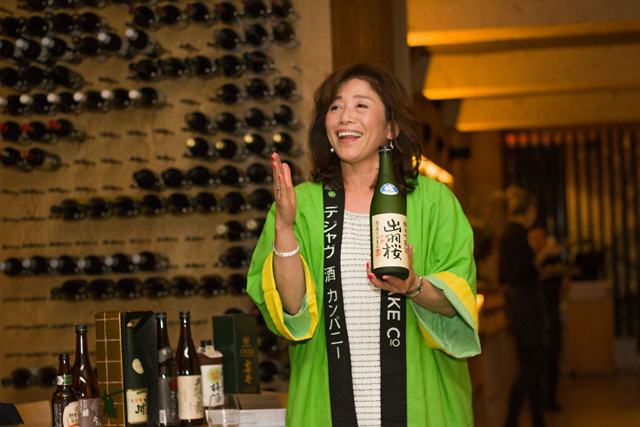 She is also an experienced sake professional; holding a “sake educator” qualification from the global wine-connoisseur body WSET, and is currently holding regular educational seminars with the goal of assisting the further diffusion of sake in Australia. 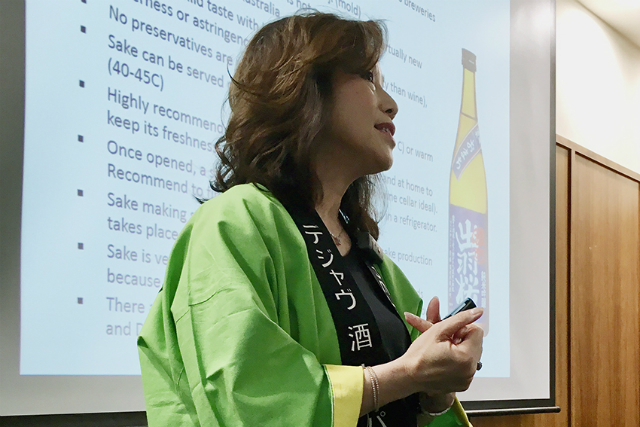 Ms. Ochiai tells us about her experiences in the alcohol industry up till now, some of her anecdotes relating to sake, and the state of the ever-growing global sake market in the near future. Ochiai: My first foray into the alcohol industry was with wine. A few months after I arrived in Australia, my father starting getting involved with a winery – Cassegrain Wines, in Port Macquarie. In order to save up funds for my daily life and student fees, I too, took on a part time job with the company on his recommendation – my first time working with alcohol. Working there for three years, I was later headhunted by the Rosemount Estate winery, which then combined into a joint venture with Southcorp Wines. A few years later, after a work-break (details omitted), I found myself working at the fashion firm, Helen Kaminski. During this period, I took many business-related trips to Japan, along with my husband Andrew – at the time a general importer of various wines. It was in fact not me, but Andrew, that first took a deeper interest in sake and importing it into Australia – finding a special side to sake that I, as a native of Japan, could not. 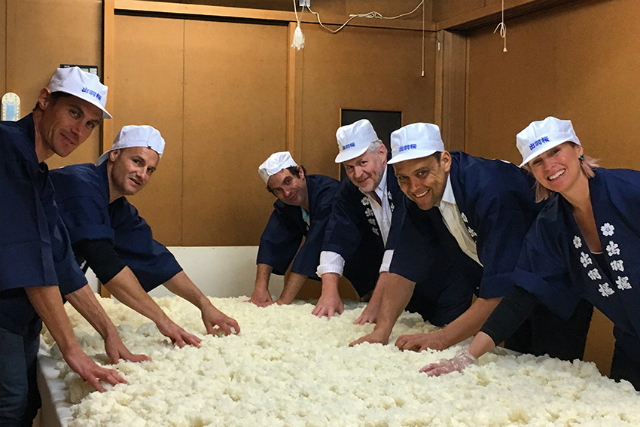 From there on we took many trips to sake breweries in Japan, visiting brewers and establishing relations. 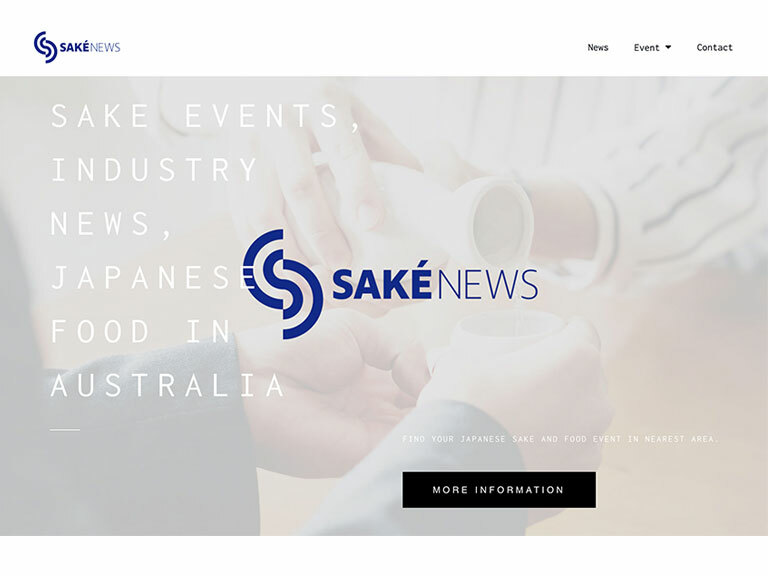 Unlike most other Australian importers, we had a desire to import sake just like wine, as specialists – without any other relatively extraneous, fermentation-related products such as Miso or soy sauce that would only raise costs. In July 2012, we would start the Deja Vu Sake Company. Did you know that there are many aspects to drinking sake? First you observe the colour and take in the scent. When it goes into your mouth, you notice the body, the flavour and the finish. Finally, in more detail, you see whether the flavour comes in in the beginning, middle or end. Sommeliers often taste wines using rather complex methods like this – so when they make statements like “this is a very rounded wine”, the layman ends up confused. 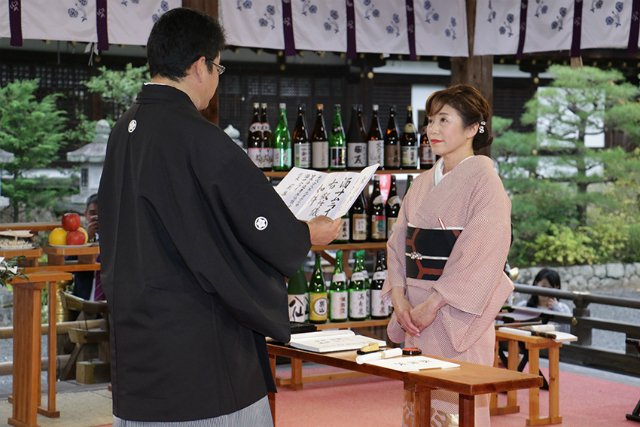 Unlike in Japan, it is often necessary when explaining the finer details of sake to Australians, to use the same explanation process as that of wine tasting. For instance, describing a sake as “fruity”, and likening it to say, bananas or citrus, explaining why it is likened to such fruits, and discussing whether it is light or heavy-bodied. It is also important to distinguish between dry and sweet sake’s. However, in contrast to wine, the fundamental character of sake lies on the sweet side, so that the possible range of measurement is rendered much narrower – the words “dry” and “sweet” entail different things between the two beverages. “Dry” for wines refers to a relative balance of tannins and acids – a wine gets drier as its tannins increase. On the other hand, sake has a certain sharpness to its flavour that is largely absent from wines and functions as its own unique basis of flavour measurement. The discussion around food-pairings is also interesting. With wine, the general rule is said to be whites with fish and reds with meat. For sake though, personally, I like to have it with just about anything that isn’t spicy. The affinity with cheese, for instance, I think is lovely, or even with pizza. I think the current forerunning city outside of Japan for sake is New York. Historically, Americans were notably some of the earliest people to import sake, and nowadays they are one of the larger producers in the world of sake domestically. After there would come London I think. In contrast, regardless of Australia’s history being rather short and its population of sake-lover’s being relatively low, the drink has managed to enter households relatively quickly, also commanding a high demand in the gift market, and becoming ingrained in not only local Japanese restaurants, but also those of other cuisines. Thus, I think that the hidden potential of sake in the Australian market is high. Australians have a tendency to be fond of new things. Recently, the number of tourists visiting such ski sites as Niseko and Hakuba has increased. After going back to the hotel, a lot of Australians like to partake in some Japanese cuisine with a glass or two of atsukan (warm sake). Sometimes I witness Australians (or other tourists) asking to heat up a glass of higher-quality sake. As heating up is usually reserved for lesser sake’s, I am a bit surprised, but I think that even so, we should promote the practice as a part this current period of rapidly expanding sake categories – without nit-picking on details, creating enjoyable memories drinking sake. 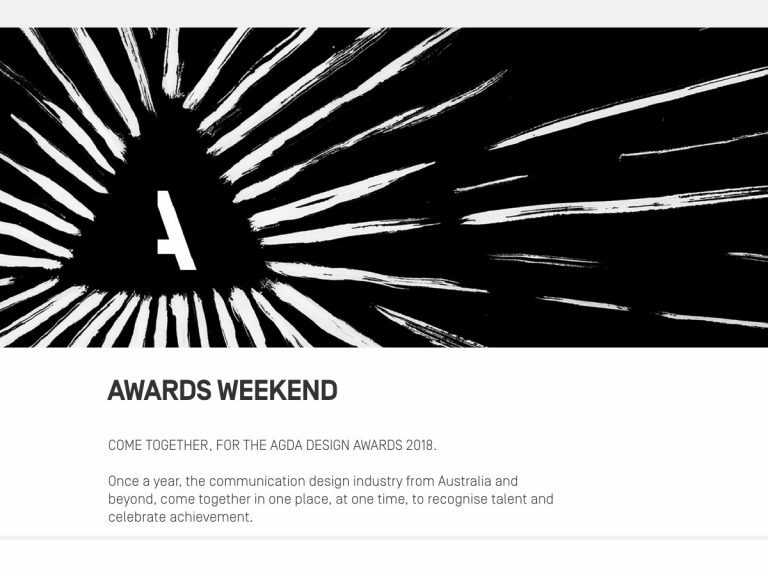 I’m looking forward to the day Australians would warm up with a glass of sake in front of their TV’s with a box of pizza. 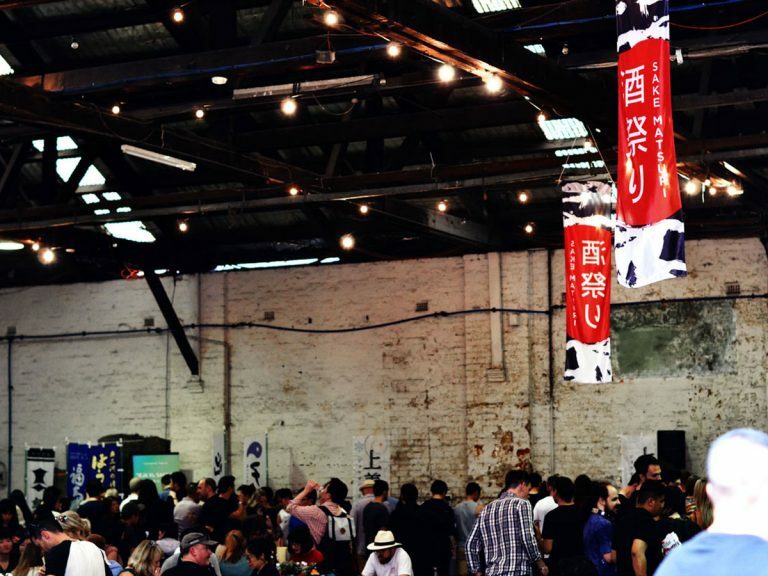 Whilst when we started operations a few years ago, not many people knew about sake, nowadays it is a relatively well-known product in both the Australian, and the wider Western alcohol market. In the global-scale International Wine Challenge held annually in London, a sake category was added in a historic move in 2007 – it is now the largest sake rating event held outside of Japan. 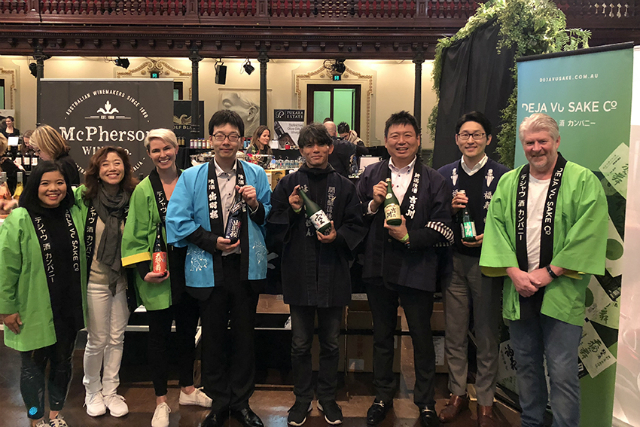 Many Japanese brewers associations are also joining in, with a shift in operations in recent years in order to promote the increased global expansion of sake. I too have decided to assist in the expansion, joining in on the contest as a judge from 2016. 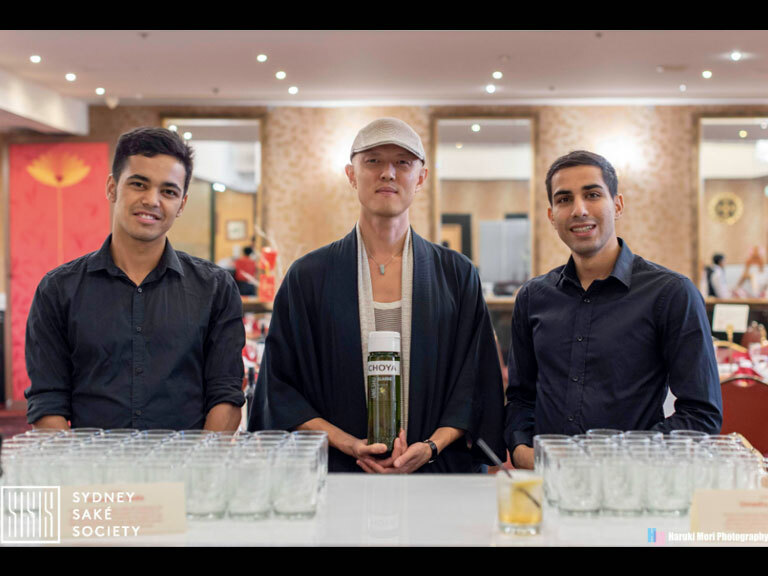 As a so-called sake samurai, I hope to continue the widespread promotion of Japanese sake, especially here in Australia.